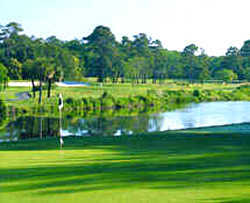 George Fazio Golf Course at Palmetto Dunes Oceanfront Resort, Hole #11. 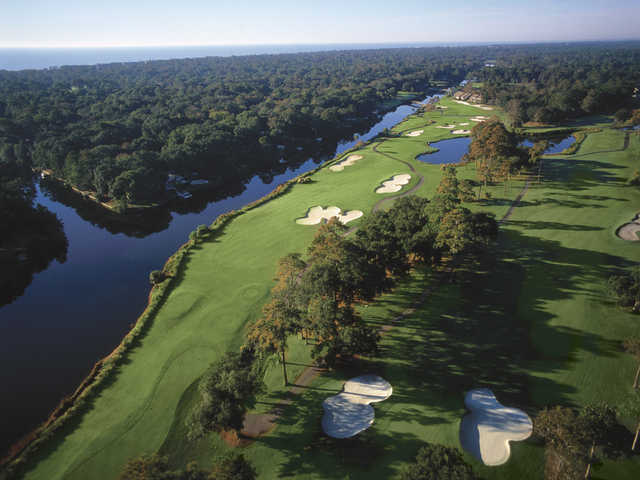 Originally opened in 1974, the Fazio course at Palmetto Dunes Resort underwent a major renovation in 1994, helping to create a course that is consistently in excellent condition and as challenging a test for golfers in Hilton Head. 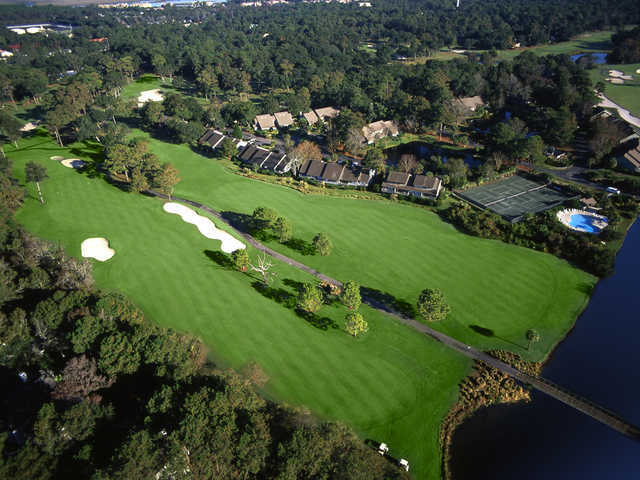 With just two par fives on the course, Fazio has designed a layout that's heavily populated with par fours, including the 462-yard No. 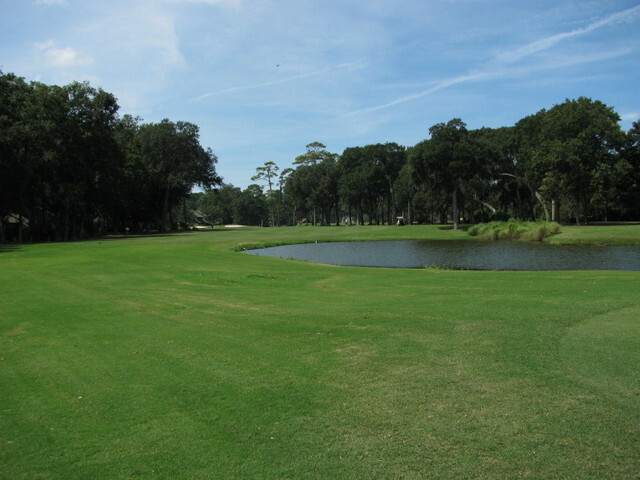 18 hole, which will take two well-hit and placed shots to have a birdie attempt. "A Fazio course will always present a golfer with plenty of challenges," said a TravelGolf.com writer. 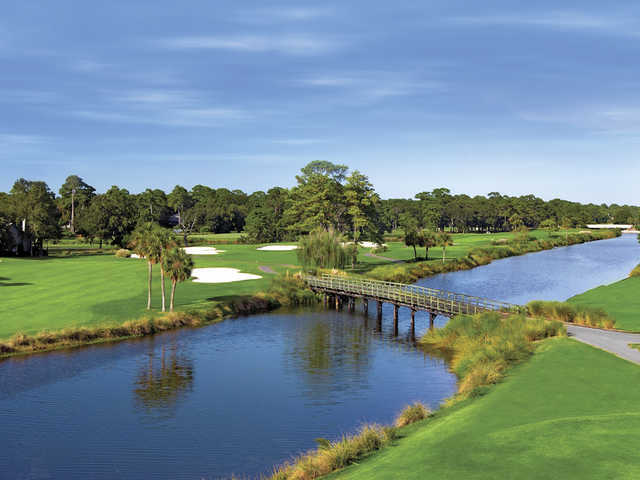 "At Palmetto Dunes, those challenges are in the par fours." 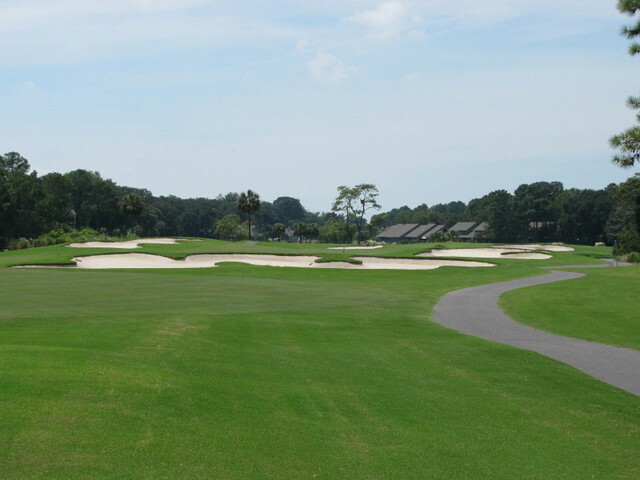 In all, the course measures out at 6,873 yards from the tips with a slope rating of 138. 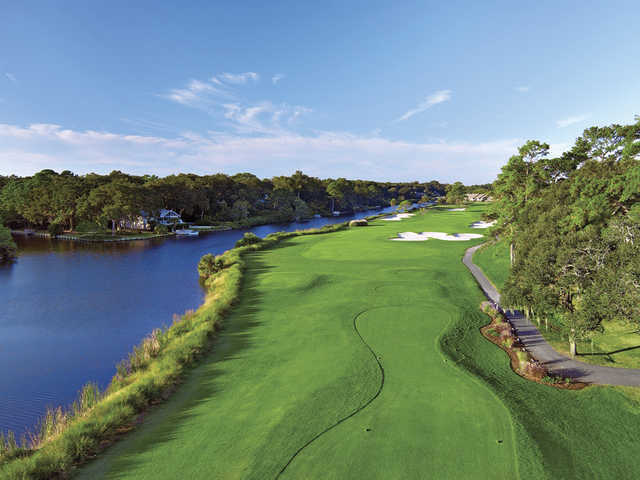 Consistently ranked as one of the nation's Top-100 courses by Golf Digest, the Fazio Course is looked at as one of the more challenging runs in Hilton Head, and one of Fazio's more impressive works. The outside staff need to go to charm school and learn how to assist players. No one to help with clubs either coming or going . Snide remarks about playing time. Cart paths look original ( 1994) and been thru cluster bombing. Beverage cart person was welcoming along with check in person. All the others not so. 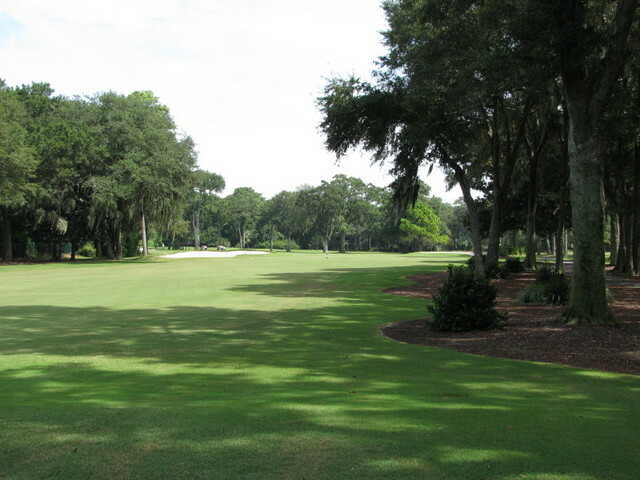 General course conditions average with over priced greens fees. And certainly not family friendly . 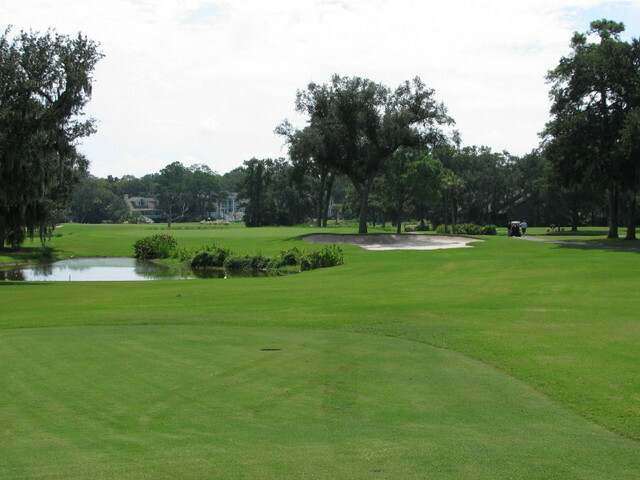 Played this course twice in one day. 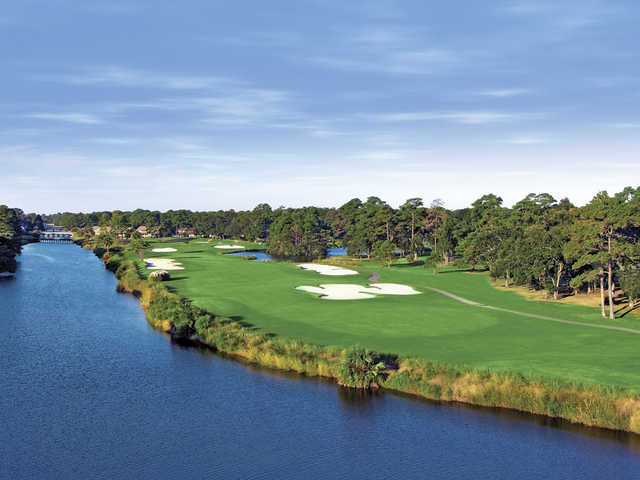 Probably the most difficult of the 3 courses at Palmetto Dunes so if you're not a single digit handicap ditch your ego and play from the white tee's. 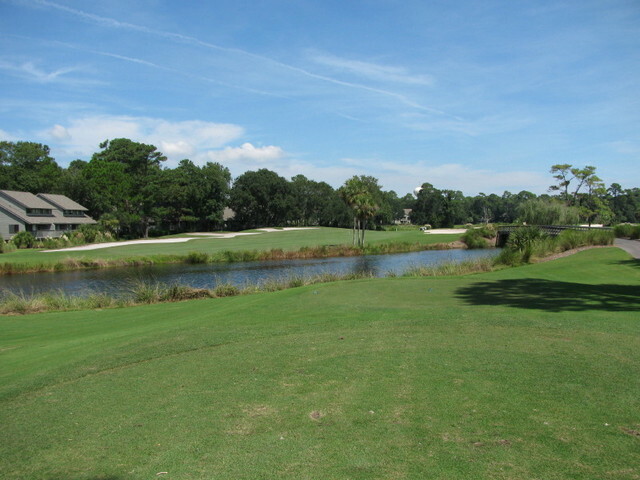 The pro shop was more than accommodating and welcomed us with enthusiasm and gave us some great tips for play. The grill w's outstanding with some great sausage dogs and ice cold beer! The pro shop was well stocked and we even got a 20% discount on all merchandise. Very unhappy with this course. We was quoted one price and when our group showed up the price was higher. The person working in the club house was rude and acted as if we were putting him out. He also charged each couple a different rate.